Synopsis: Ida and Albin are a happy couple. They set off to a cabin in the vast Swedish woodlands to have a fun holiday with their friends. But under the floorboards waits an evil from Sweden’s dark past. My Quick Review: So, this year’s Evil Dead Remake actually came from Sweden? Wither is a gruesome movie clearly inspired by Evil Dead, with a Swedish folklore story twist. 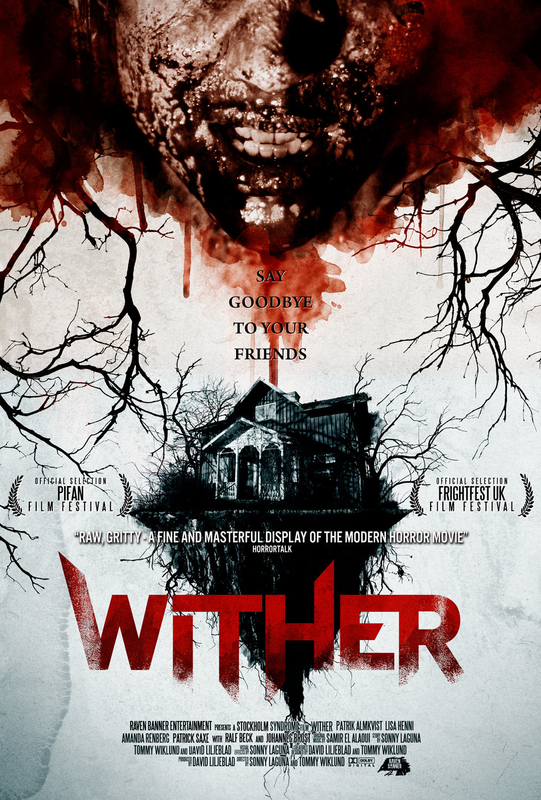 Unfortunately Wither suffers from the same problems that plagues this year’s Evil Dead Remake: plenty of gore does not necessarily make for an entertaining movie experience. The buildup to the expected massacre is boring, most of the dialog is ludicrous (probably not helped by the subtitles) and all of the character’s decision are extremely stupid (even more so than usual for a cabin in the woods type movie). Despite the low budget, most of the gore effects are quite impressive and add to the ick factor the same way the new Evil Dead did. But that’s about the only redeeming factor of Wither, a swedish import that fails to recapture what made the original Evil Dead such a horror classic.